Team members of the Johns Hopkins Listening Center gather to help ensure the best possible outcomes for their patients. The Johns Hopkins Listening Center expands services to locations easily accessible from Virginia, Pennsylvania, Delaware and Washington, D.C.
After 15 years of implanting cochlear implants (CIs) in patients with severe hearing loss, Charley Della Santina, new director of the Johns Hopkins Listening Center, knows that adjustments by an expert CI audiologist and sustained interaction with an auditory rehabilitation therapist skilled in working with CI users are keys to success. Although most patients receive great benefit from their CIs, some miss out on these critically important parts of CI care and fail to reach their full hearing potential. To shorten those long commutes, the Listening Center is expanding to Washington, DC; Bethesda, Md. ; Green Spring Station in Lutherville, Md., (north of Baltimore); and Kent Island on Maryland’s Eastern Shore. The Listening Center is also improving access for patients by streamlining care. New clinic coordinator Kimberly Mooney is working to make appointments more efficient by scheduling providers from different disciplines on the same day. 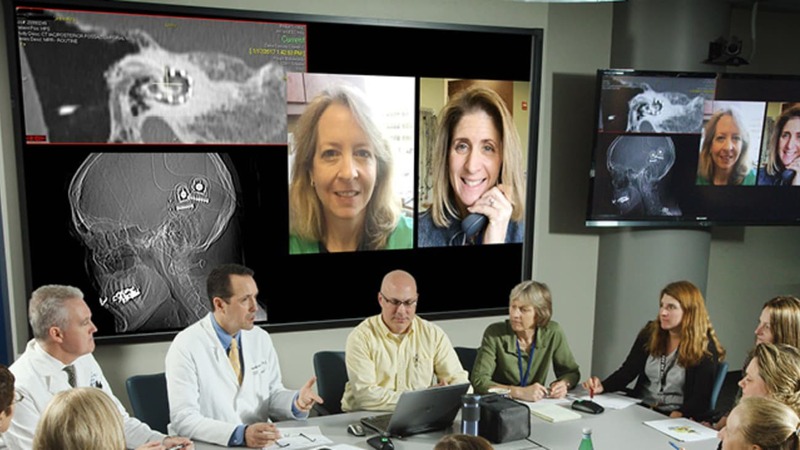 Rather than patients undergoing imaging study, consulting with an audiologist, and seeing a surgeon in three different appointments, for example, they can have all three visits in a single trip. The Listening Center team also communicates closely with a patient’s referring audiologist to ensure well-coordinated care. “Making access to expert care as easy as possible is part of our mission to help Listening Center patients achieve their full hearing potential,” says Della Santina.